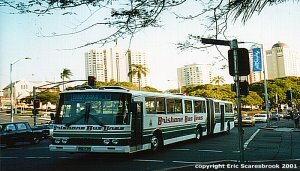 Brisbane Bus Lines operate primarily in the north and eastern areas of Brisbane. 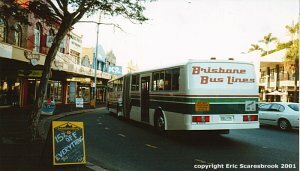 Bus 79 arrives at Fortitude Valley, 9 October 2000. Bus 79 is articulated. 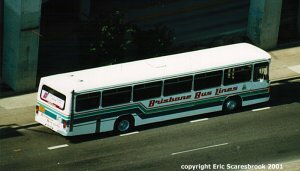 An unknown bus on Roma Street as photographed from above (from the nearby Quest on Quay Apartments). 9 October 2000. 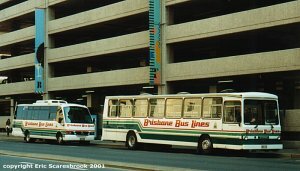 Two buses await their next runs on 9 October 2000.